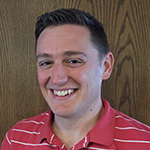 Mr. Mollick has taught a wide range of ages from elementary to high school including Minneapolis Schools, Bloomington Schools, Manhattan Beach Schools, and Minnetonka Schools. He currently teaches orchestra at Valley View Middle School in Edina and frequently performs in the Bloomington Symphony Orchestra cello section. Mr. Mollick grew up in Ohio where he started piano in second grade and cello in fourth grade. In high school, Mr. Mollick played in the Canton Youth Symphony. He went to Luther College in Decorah, Iowa, where he graduated with a degree in music education. He then earned a master’s degree in music education from the University of Michigan, Ann Arbor. In his spare time, Mr. Mollick enjoys reading blogs and historical fiction, traveling, backpacking, running, and spoiling his nephews and nieces. He lives in St. Louis Park with his rescue pit bull, Sadie, and partner, Greg Milliren, who plays flute with the Minnesota Orchestra.